Some months ago we have anticipated the merger between the two companies Spielo and Atronic. Now, this operation knows new developments, like explains Walter Bugno, Ceo of Spielo International, the new name of gaming solution division of the Lottomatica Group. “The most recent development is our unveiling of our new identity as Spielo International. This represents the completion of our integration process, with the new unfied goal of bringing compelling, high-performance content to our customers. So we are now working together toward that common objective and serving all markets. We are now in the unique position of serving multiple gaming segments across many gaming channels as a single global entity, so we can offer more competitive pricing and deliver greater value to our customers. By combining our resources, innovation, and best practices, and by reducing inefficiencies, we will be providing great games more frequently, have a better understanding of operators’ and players’ needs, increase innovation, and improve speed-to-market and delivery times. As well, because technology is an enabler of gaming success, rather than the driver, we want our technology to be relevant instead of leading-edge and costly. When our customers see the great games we have to offer, we want them to recognize that our technology can compete with anyone else’s, but that our games are clearly superior to everyone else’s. In other words, our technology will be relevant and up-to-date so that our true competitive differentiator will be the quality and performance of our games. The same account and service teams will continue to work with our customers; it was very important to us that those relationships were not affected”. 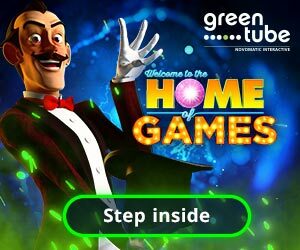 Spielo continues to be the undisputed leader after more than a year since the debut of the videolotteries on the Italian market. Wich is the secret of this success? “The Italian Vlt program is proving to be a successful, dynamic, and well-regulated gaming program. Because of that success, many other jurisdictions planning to launch gaming programs might choose to model their programs after Italy’s. Today, Spielo International has secured agreements with multiple Italian Vlt concessionaires, and upon full program deployment, we expect to have at least 24% market share, if not more. In July of this year, Spielo marked its one-year anniversary of becoming the first licensed Vlt supplier to deploy its end-to-end Vlt system in Italy. With more than 8,000 Vlts already installed, Spielo International’s installation base has generated approximately 60% of the total cash played. We expect to install a minimum of 5,400 additional Vlts during the remainder of 2011 and into 2012. However, we anticipate that our installations may exceed that, because the Italian government has announced that a new tendering process will take place later this year. This will expand the market, and may give us a chance to supply many more machines beyond the total 13,400 now being deployed. Being first to market was a huge advantage, as it provided us with a head start on the competition in machine rollout. 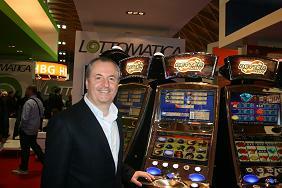 We also have some of the top-tier customers in Italy, including Lottomatica Videolot Rete. Lottomatica, as well as our additional concessionaires, created excellent execution plans to quickly roll out machines. This has given us the opportunity to keep and grow our first-to-market advantage. Player demand for our products in Italy has also helped us to roll out much faster than the competition. We have some of the most compelling products on the market, including our jackpot solution, which has a lot of player appeal and, as a result, generates a lot of wagers. The solution is a scalable, flexible multi-level linked progressive jackpot that’s part of our INTELLIGENTM Multi-Player module. The progressive jackpot feature is only offered on Spielo’s Vlts. Most players cite the jackpot as the reason why they play Spielo machines, rather than other manufacturers’ offerings. We believe that Italian Vlt players like high stakes and are attracted by the changing progressive jackpot”. Do you think that the slots seriously suffered from the presence of the Vlts when all the terminals at disposal of the concessionaires will be installed?